The iPhone 8 has gotten leaked in the flesh courtesy a Redditor with a friend in the industry. Chinese manufacturers apparently began receiving the back and front panels of the handset last week, allowing us to glimpse what may well be the final design of the device. 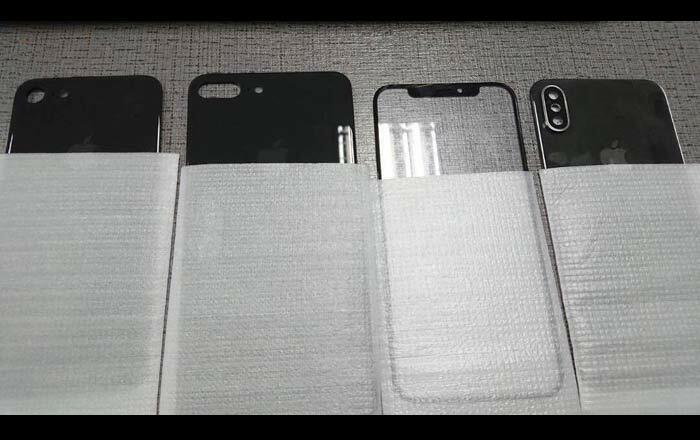 The photo above falls in line with rumors about the iPhone 8 so far, adding a dash of authenticity to the leak. The glass panel on the left features a nearly bezel-less design, save for a cutout at the top to house the smartphone’s earpiece and selfie camera. There isn’t any sign of a home button or rear-facing Touch ID, so the company has likely managed to shift the fingerprint reader under the screen. 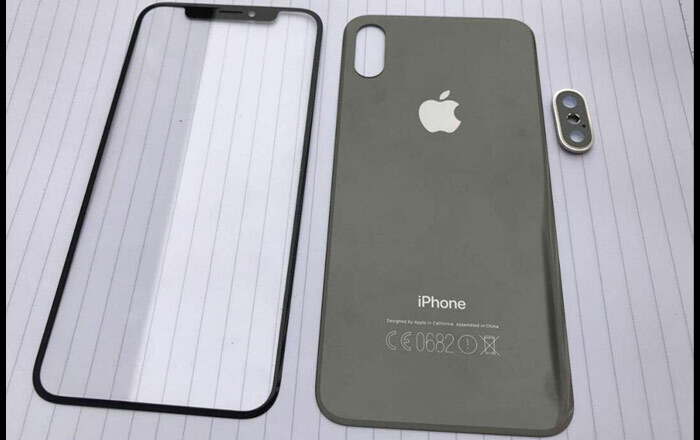 The rear panel to the right is also made out of glass, confirming speculation that the iPhone 8 will have a ‘glass sandwich’ design held together by a stainless steel frame. The component notably has a vertical dual lens cutout, with the actual component seen on the side. 2 holes for the cameras can be clearly made out, with the smaller one in between presumably for the LED flash unit. The second image features the same iPhone 8 alongside what can only be assumed to be the iPhone 7s (extreme left) and iPhone 7s Plus (left of the glass display). The Redditor asserts that the two are getting wireless charging abilities as well. He may be right, since the so-called iPhone 7s and iPhone 7s Plus sport glass backs and not the standard aluminum one of old. Sadly, there aren’t any snaps of the duo’s front to tell us what to expect. Apple is probably going to stick to the same iPhone 7-esque look for the two.